Emerging from a scandalous human rights record with 1,200 complaints lodged against military personnel for everything from torture to murder, the Colombian Army’s remarkable about-face has resulted in human rights complaints plummeting 96%. Between 1998 and 2008, the armed forces serving the nation of Colombia held the shameful distinction of having one of the worst records of human rights abuse in any of the world’s militaries. A scandal that broke in 2008 revealed that rogue soldiers in the Colombian Army had carried out some 900 extrajudicial executions. The victims—typically down-on-their-luck men lured into service with promises of jobs—were dressed in military fatigues and falsely presented as guerillas killed in combat. What was the purpose of these grisly murders? To boost the body count of supposed kills in Colombia’s protracted conflict with the opposition Revolutionary Armed Forces of Colombia (FARC). The rogue soldiers were motivated by payment of a bounty for each kill. The criminal actions brought about the convictions of 539 Army members, 77 of them officers. 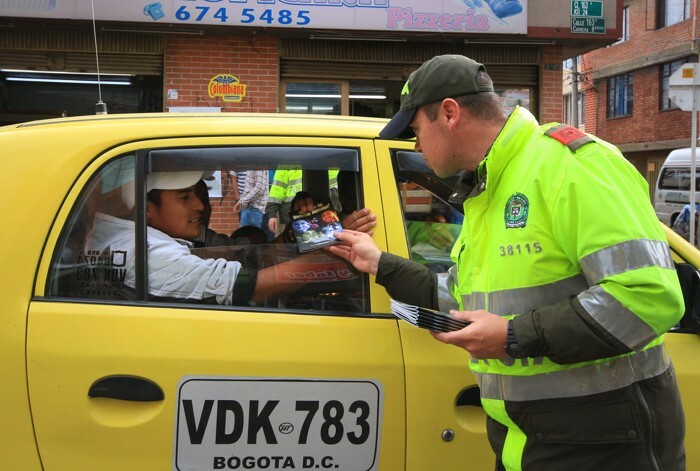 Colombian military personnel spread the human rights message to countrymen after Youth for Human Rights training. In February 2014, Colombian President Juan Manuel Santos relieved the nation’s highest-ranking military officer, General Leonardo Barrero, of his duties for disrespectful remarks in criticizing the prosecutions of senior officers. In addition to Barrero, four other generals were forced to retire this year as part of a zero tolerance policy in connection with armed forces corruption. In 2008 alone, 1,254 complaints of human rights violations were recorded against the Colombian military during its fight with FARC. Once the mass graves of innocent people were uncovered by whistleblowers and exposed in the international media, then-Defense Minister Santos knew that he had to act—not only to reform the military but to restore trust between the people and their guardians. So in May 2009, he established the School of Human Rights and International Humanitarian Law of the National Army of Colombia in Bogotá, with the immediate goal of cleaning up the human rights record. The school’s stated aim is to prevent human rights violations and breaches of international humanitarian law by military members. But its mission goes still further: To spread and deepen the knowledge of human rights standards and duties as the fundamental basis for all military personnel. The school’s free curriculum was offered not only to the Army but also the nation’s Navy, Air Force and Military Police. But for a nation ravaged by scandal, the simple opening of a human rights training school was not enough. The education had to be richer still and more widespread, extending to the whole of Colombia. This is where Sandra Poveda came in. Poveda, a Colombian, a Scientologist and a dentist, became a passionate advocate of the inherent rights of all people after being introduced in her church to its human rights program. She was committed to do her part to ensure that the educational component extended far into the future—via Colombia’s young people. And so in tandem with her brother, Felipe, Sandra founded Youth for Human Rights Colombia in September 2009. Anjelica Torres remembers those earliest days of Youth for Human Rights Colombia. She was brought on as its community services director in June 2009, just as it was forming, and by September was standing side-by-side with School of Human Rights officials, training hundreds of military personnel. She incorporated videos and brochures in high-impact multimedia presentations. “I was invited to discuss Youth for Human Rights with about 500 ensigns in the Navy who were close to graduation and beginning their military careers,” Torres says, citing one example of her experiences. She says it was not easy for the young Naval officers to listen to a civilian speak to them about human rights, which was clearly an active hot-button issue for not only the armed forces but for everyone in Colombia. But the attendees were so moved and interested by what they heard that an Army officer attending requested a presentation on the campaign to his troops as well. The Povedas and Torres continued to roll out the Youth for Human Rights Colombia program broadly with an ongoing series of lectures and seminars attended by military officers in cities throughout the country. It was adopted and made an official part of the School of Human Rights curriculum. By 2010, the program had reached more than 60,000 military personnel. From there, the campaign expanded to military installations in various regions including the Bogota headquarters, the city of Cali, and three of the country’s major subdivisions, known as departments—Caqueta, Cundinamarca and Meta. Youth for Human Rights teams delivered seminars backed with educational materials to a vast array of Army officers. They included the officers of artillery battalions and units, infantry battalions and units, military engineers, medical battalions, counter-intelligence units, and training battalions as well as the elite Presidential Guard Battalion. Early in the campaign, Sandra Poveda received a request from one of the Army colonels in the dangerous Red Zone of FARC territory, asking for help with human rights training for children in the area. Sandra asked her brother to make the presentation, with the goal of preventing young people in the Red Zone from one day becoming FARC guerillas. Sandra continued to expand the campaign, taking it beyond the military to Colombia’s police. She helped to organize human rights events involving police officers, delivering human rights training to hundreds of officers and officials. The tandem of the School of Human Rights and Youth for Human Rights proved effective. More than 200,000 members of the military (some 70 percent of the nation’s total) have been trained using Youth for Human Rights materials. More than 47,000 of them were trained through the School of Human Rights in hundreds of lectures and events to more than 5,200 officers and 27,816 noncommissioned officers. More than 500 television channels in Colombia have regularly aired Youth for Human Rights public service announcements over the past few years as well as in Argentina, Chile, Ecuador, Peru, Uruguay and Venezuela. In March 2014, the director of the School of Human Rights maintained in a letter to Colombians United for Human Rights that—through the use of Youth for Human Rights Colombia materials and its campaign—human rights complaints against the military had plummeted an astounding 96 percent. No, that is not a misprint: 96 percent. It provides conclusive proof that education drives results. Moreover, crime in Colombia in general has declined to levels unseen in more than 30 years. “The Army will no longer be an obstacle to peace,” President Santos declared in February 2014. Also there are no indications that the Army’s improved human rights record has diminished at all in the time since. In recent months, the Colombian Army attacked numerous FARC bases with no accusations of civilian killings. As a result of the human rights reforms, the Army is now accompanied by police units that document and investigate every firefight, drafting an official judicial report on what occurred—an independent oversight mechanism that ensures human rights standards are upheld and prevents false claims. And these are signs that the Army’s comprehensive community outreach activities of the recent years are successfully improving public perception of the military in the wake of the previous loss of confidence and trust. We have done something to sensitize Army members in the conduct of war. It’s about identifying and understanding when you are doing wrong by another person, very simply. Sandra Poveda looks to a continuing positive relationship with the Army and the other armed services, as well as her organization’s work to educate the nation’s youth on their inherent rights, as delineated in the United Nation’s Universal Declaration of Human Rights.